Dr. Maryam Sali FNLA, is the Director, Student Support Services of the National Universities Commission (NUC). She holds a Diploma in Library Science (DLS) and Bachelor of Library Science (B.LS) Second Class Upper from the University of Maiduguri. 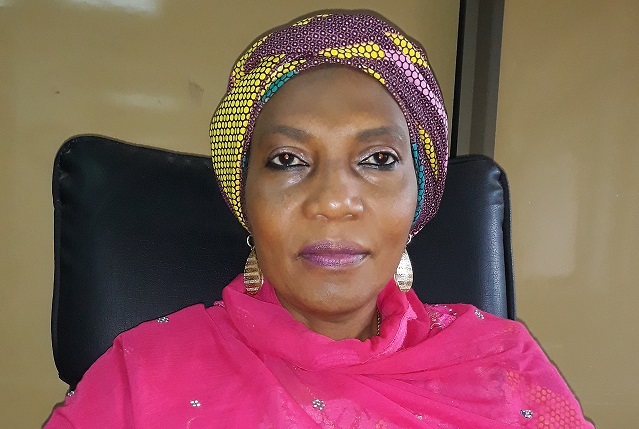 In addition, she has a Master’s degree and Doctor of Philosophy (Ph.D.) both in Library and Information Science from the Ahmadu Bello University, Zaria. Dr. Sali attended various local and international short term training courses in Monitoring and Evaluation, Library and Information Services as well as Entrepreneurship Education. She joined the services of the NUC in October, 1993 as a librarian II officer and rose through the ranks. Along the line, she served the Commission in various capacities and Directorates. She served as a librarian in the Library Services Division of the then Department of Academic planning and also as a Principal and an Assistant Chief Quality Assurance officer in the Department of Quality Assurance now known as the Directorate of Quality Assurance. She further served as a chief and Deputy Director, Inspection and Monitoring until July, 2017 when she was redeployed to the Directorate of Student Support Services as Deputy Director, Careers Services. Dr. Sali was appointed Director, Student Support Services with effect from 1st January, 2019. To be a catalyst in the Commission’s drive to deploy strategies for the improvement of the Nigerian University Students’ learning environment and development of better career opportunities and sense of social responsibility. To deploy management initiatives and strategies that will support universities to provide and ensure that students acquire critical life skills for informed career choices and social responsibility. Supporting collaboration in Entrepreneurship with relevant stakeholders.